Maruti Suzuki India Ltd, the country’s largest-selling car manufacturer, is about to launch an updated version of its Ciaz mid-size sedan. 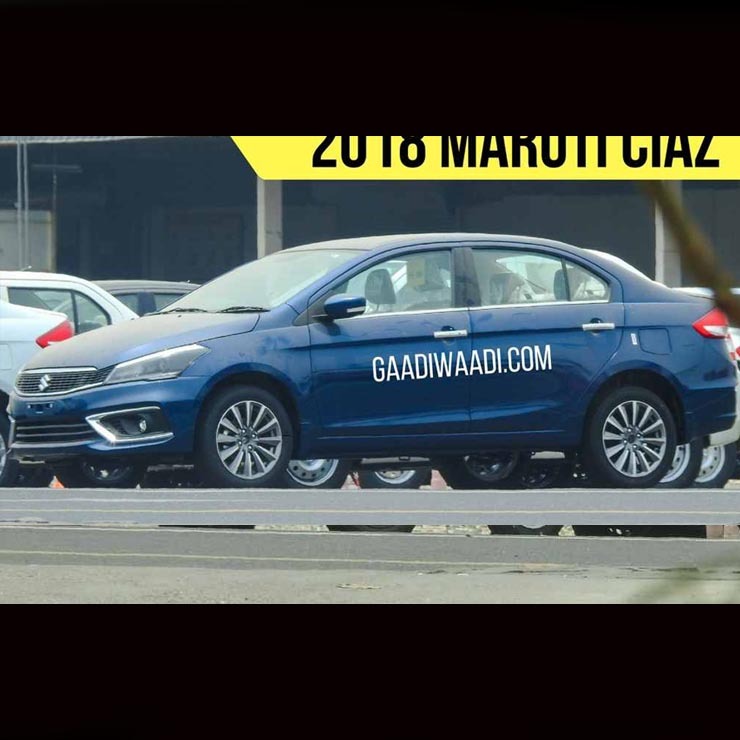 The 2018 Maruti Ciaz facelift has been clearly revealed in the latest batch of spy images. Thanks to these images, we finally have a clear idea about the styling changes for the car’s exterior and interior. This is the first time that the car has been spotted entirely without any sort of camouflage. From the looks of it, the launch of the facelift is hardly a few weeks away from us. The updated Ciaz will rival the likes of Honda City and Hyundai Verna. 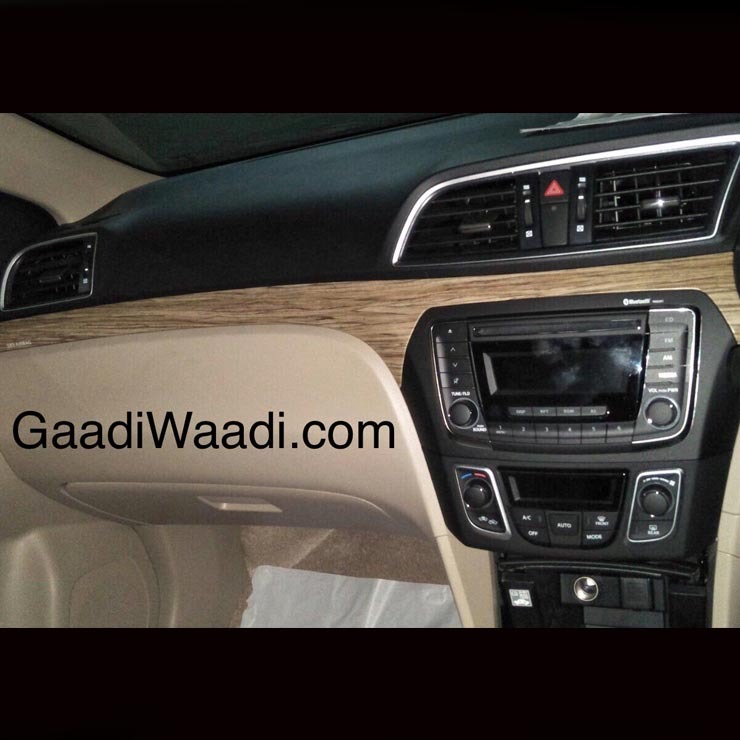 As you can clearly see in the above image, the updated Ciaz gets a comprehensively re-styled front-end. The original grille has made way for a sleeker unit that connects the headlamps. The headlamps, too, have been updated. In all likelihood, they’ll carry a set of LED DRLs along with projector setups. The bumper is new, too. It looks slightly sportier and has chrome inserts around the foglamp housings. 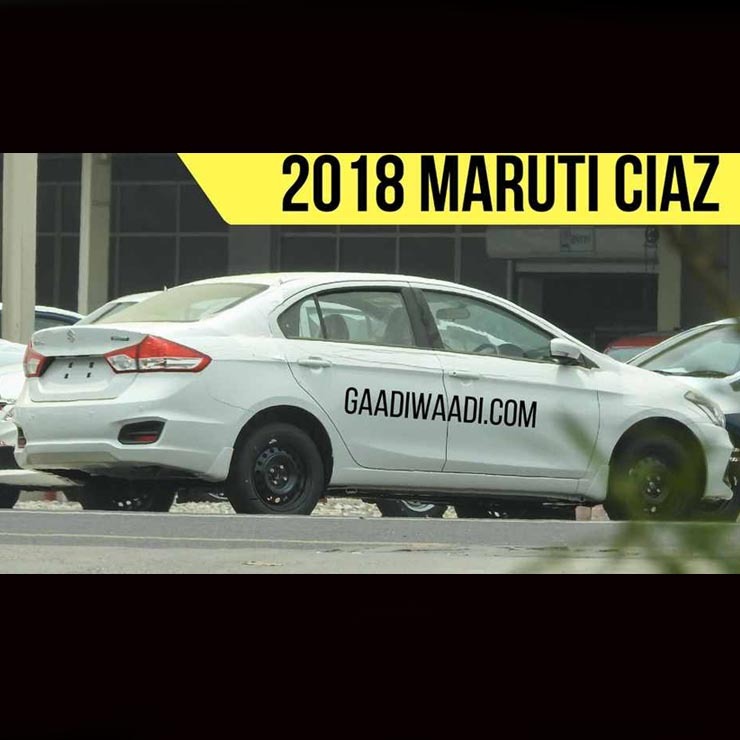 In its side profile, the 2018 Maruti Ciaz facelift looks exactly the same as the current model. Even the rear-end seems to have been left largely untouched. The interior, however, gets some significant updates. There’s a new faux wood trim that starts from the middle of the front door and runs across the dashboard to terminate at the middle of the other front door. The wood trim is lighter in colour than the one present in the pre-facelift model. Also, the instrument console gets a larger MID display, which, in all probability, will be a TFT unit. The dials have also been updated. The steering wheel remains the same but the facelift will offer cruise control. The top-end variants will continue to offer the excellent touchscreen Smartplay infotainment unit. The 2018 Maruti Ciaz facelift will launch with an all-new petrol engine. The 1.5-litre K15B for the upcoming Ciaz facelift will replace the current 1.4 K14 motor. The new engine is more powerful and outputs 104 bhp and 139 Nm. It will be available with both petrol and automatic transmission options. Furthermore, it will benefit from the SHVS mild hybrid tech. The diesel variants will continue with the current 1.3-litre Fiat-sourced turbo-diesel motors. This engine comes mated to a manual transmission and benefits from the SHVS mild hybrid tech.